You may encounter issues logging in to DMS Web or another site with Mobile Safari on your device. 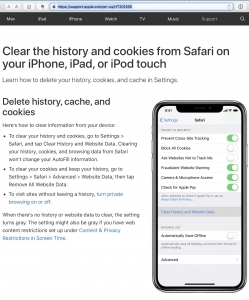 Should that happen, you can clear your cookies on your iPhone/iPad with these instructions from Apple. You can clear only the cookies or cookies AND history.